How to make a fish costume can seem to be task impossible. However, with a few easy steps and some creativity, you can make the best fish costume around. Whether it is for a Play or for Halloween, these tips will guide you on how to make a fish costume for your purposes. Use your imagination and creativity and try to enjoy the process as much as possible!! CHOOSE THE TYPE OF FISH & OBSERVE! The fish costume you design will differ dramatically depending on the type of fish you choose. 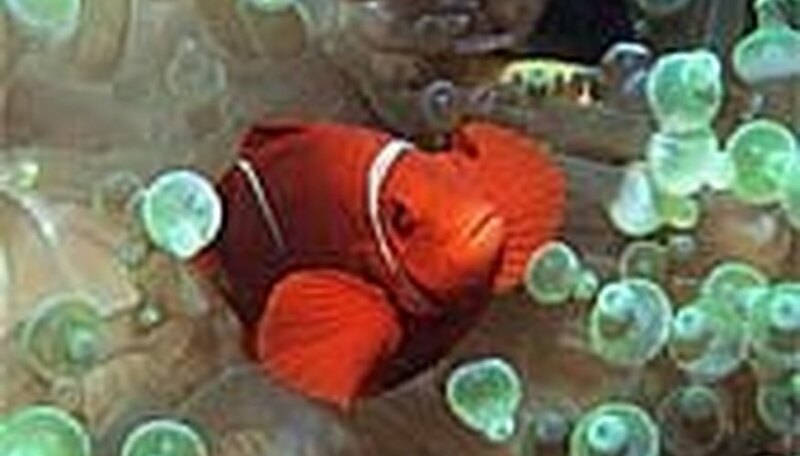 Popular fish costumes include: Clown Fish (from Finding Nemo), Puffer Fish, Jellyfish, Angler Fish, Goldfish, Lion Fish, Shark, Seahorse, Eel, Starfish etc. One you have chosen the type of fish costume you would like to make, it is time to observe. This is the fun part. Use your imagination. Look up pictures of the fish via Google Images. Search for videos of the fish moving. Write down colors, movement, etc. Get excited about the project and how you will make your costume unique!! LOOK AT SIMILAR FISH COSTUMES TO YOURS! Once you have decided on the fish costume you want to know how to make, everything becomes simpler. Do a quick search under Google Images for costume ideas. Do NOT enter "fish costumes." Do NOT enter "fish costumes homemade." DO enter the specific fish you have chosen. Ex: Angler Fish Costume, Clown Fish Costume, Jelly Fish Costume, etc. Depending upon the type of fish, you may get a lot of ideas or zero. If you are the type of person who needs ideas, search several different fish to compare. While the design and style of your fish costume will vary dramatically, there are several ways of how to make fish costumes which are popular. Choose a costume which works to your strength. If you are excellent at sewing, see the resource section for patterns on how to make a fish costume. 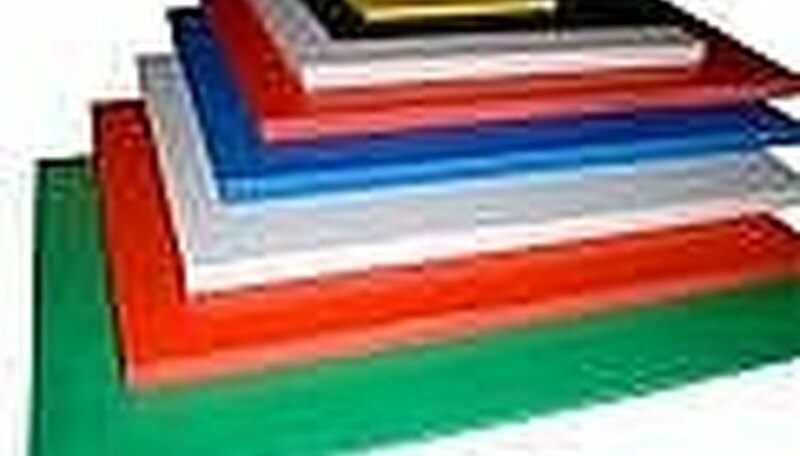 If you are not an expert sewer, consider foam boards which can be glued and really a great foundation for fabrics, sequens, etc. If you are short on time you may consider costumes in which a child/adult wears a plain color such as black (or whatever fits for your fish) and the costume is in the hat. 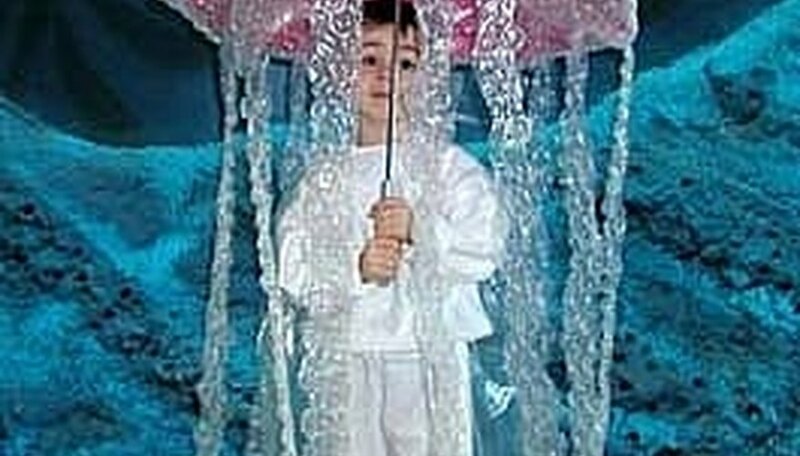 You could also consider a Jelly Fish costume, which entails dressing up an umbrella. USE MAKEUP TO FINISH OFF THE LOOK AND TAKE LOTS OF PICTURES! A finishing touch is truly the makeup. Don't let your child or don't you yourself leave the house plain faced. Make sure to tie your face in with the costume to make the ultimate effect. Enjoy your costume and take pride in the time you took to create it. Talk to family and friends about helping create your fish costume. If you are making a fish costume for your child, have him/her help with the creative process. Do not get too stressed out about the finished product. Although everyone wants their costume to be the best. A costume is a costume and is worn (typically) as a one time event.